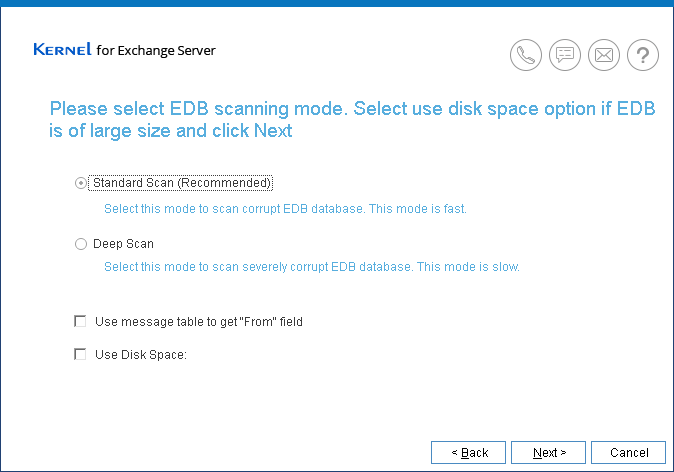 When the Exchange Server database file i.e EDB file is corrupted then emails and other important data is inaccessible to user. 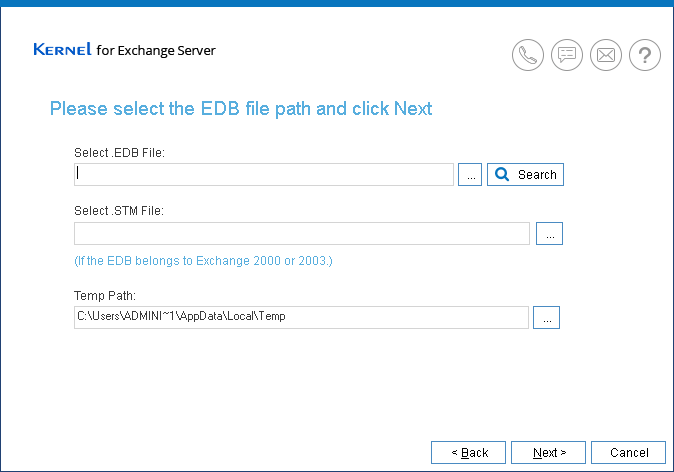 Exchange Server saves the file in EDB format and it consists of the user mailboxes. Damage to Exchange server prevents from using Outlook. In this way it becomes difficult for users to send/ receive mails. Thus it is extremely important to recover Exchange Server and the best tool to use is Kernel for Exchange Server Recovery. Repairing EDB files to exporting them to Office 365, the tool is capable for all user requirements. Most of the users adopt manual method to repair Exchange Server, but it is very risky as the files could be deleted and important data could be lost. The best way is to use Kernel Exchange Recovery tool. It allows hassle-free recovery of exchange server, migration of EDB to PST and restoring data in original format. 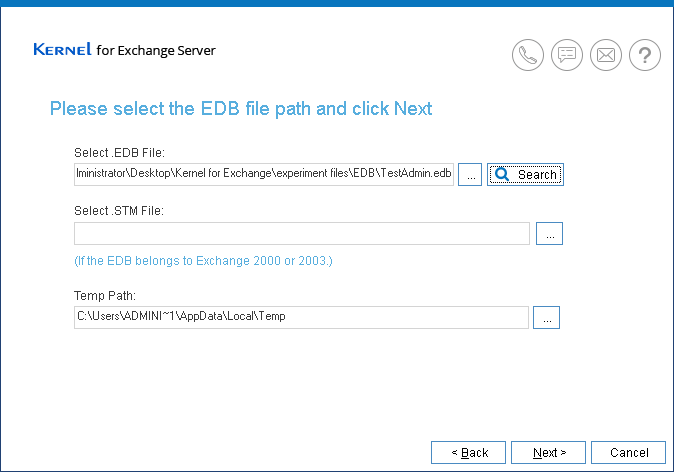 If you want to migrate EDB to other servers then, Kernel Exchange Server Recovery tool is best. Recover User Mailbox: One thing that is most complex in exchange server is recovery of user mailbox. 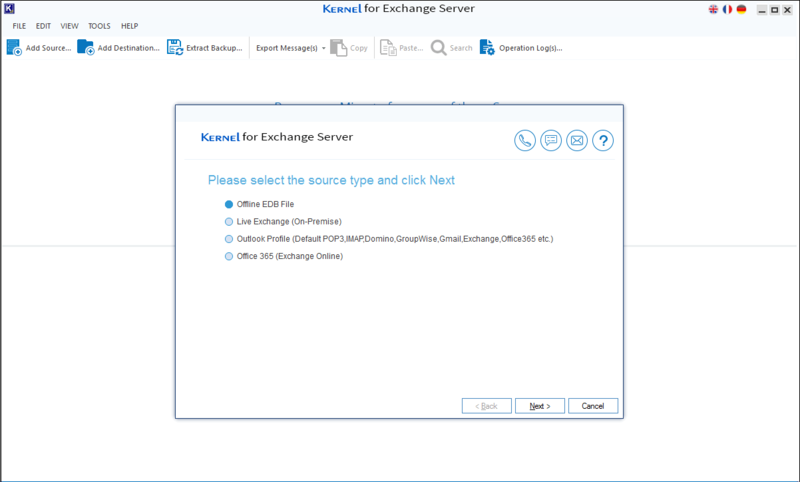 Kernel Exchange Server Recovery tool make it extremely easy. It deep scans the files and extract data from EDB files. Administrators can recover user mailbox, emails, contacts, calendar, task and deleted items too. The tool allows extracting attachments and exporting messages to new folder. Recover Deleted Mailboxes: Exchange Recovery Tool can recover mailboxes from corrupt Exchange email database. If there is server failure then you can recover offline EDB/ STM files from backups. Recovery is done by repairing folders, messages, attachments which got damaged in server crash. Search Items in Mailboxes: Mailboxes contains large amount of data, it is like one of the many accounts of Outlook stored in server. To locate a specific mailbox you can use ‘search’ option. The tool has the option to search items via phrases/ words, date range, attachment content. You can even filter search option by creating custom search. 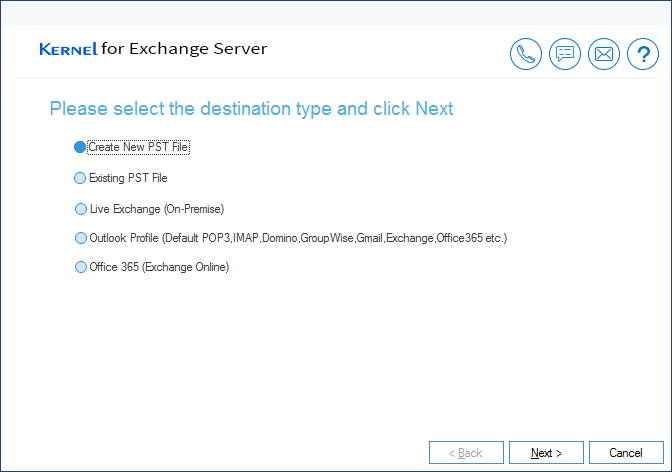 Create Mailbox: Exchange Server Recovery tool gives user the facility to check added source and destination mailboxes. Exchange Server Administrators can create mailboxes in destination folder and export the data. Reducing the complexity, admin can transfer mailbox of multiple platform from single console. Full Access Rights to User Mailboxes: Kernel for Exchange Server Recovery gives flexibility to perform operations on destination mailboxes. Servers Administrators can create, rename, or delete any folder. Admins have the permission to ‘Reply’ or Forward e-mails to the connected Outlook profile. Moreover, this gives delegate full access rights to Office 365 user mailboxes. Export Items to Office 365/ Live Exchange: With its easy to use, copy-paste and drag-drop option users can migrate data from one Office 365 to another Office 365 profile. Same process could be done for Old live exchange data migration to New Exchange versions. Kernel for Exchange Server Recovery ensures that no data loss occur and the originality of data is maintained. Additionally, one can use the tool for migration from IMAP servers (Gmail, Yahoo, AOL) to Outlook PST file. Check Operation Log History: Operation log keeps records of the actions performed in exchange server to present date. You can see the Operation Log History with Kernel Exchange Recovery tool. This could help track the action which caused corruption in Exchange Server. 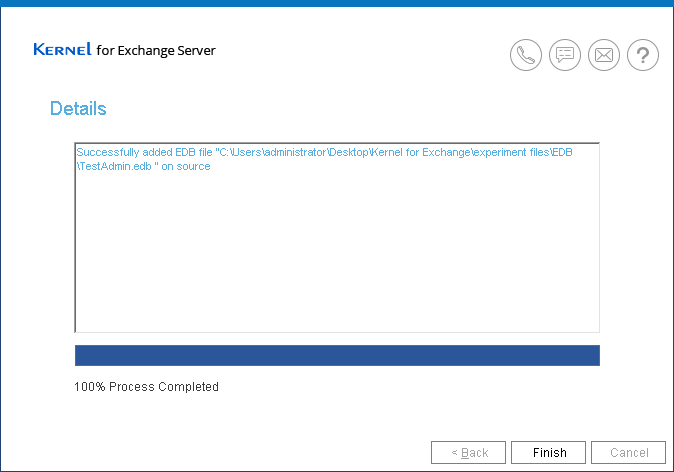 Apart from the license Use, the Corporate version of Kernel Exchange Server Recovery is same as Technician version. Thus it becomes extremely easy to recover files from Exchange Server. You can download any version of Kernel Exchange Server Recovery depending on your requirements.